The Central Bank has warned that a no-deal Brexit could reduce the growth rate of the Irish economy by up to 4% this year. In its first quarterly report of the year, the Central Bank says the impact would be front loaded and describes the short term economic challenges as immense. In one of the starkest bulletins since the economic crisis, the Central Bank warns of the severe impact that a no-deal Brexit could have on the Irish economy. It says that with an agreed Brexit deal, the Irish economy should grow by about 4.5% this year, but in a no-deal scenario that would fall to 1.5% - a rate last seen in 2013. Trade disruption, sterling at 97p to the euro, but more expensive food because of tariffs combine into what the bank calls a significantly more adverse outlook for the economy. Officials believe budget plans would have to be re-examined by the Government because of the impact on tax revenues and spending programmes. While the economic hit is almost instant from the end of March, the Central Bank says its impact on jobs will take longer to be seen. In a commentary on the economic information, Central Bank staff say the "abrupt ending of existing cooperation agreements between the EU and the UK in a disorderly Brexit" would have material and immediate economic implications which would permeate all areas of economic activity. There would be heightened stress in financial markets and a potentially large depreciation of sterling. The Bank uses 88p to the euro as its sterling figure in its baseline scenario, but says this could slide to 96p-97p in a no-deal Brexit. Ibec, using a Bank of England analysis, says it could fall as low as 110p to the euro in a no-deal scenario. The Central Bank says the deterioration in economic conditions and a more adverse outlook would cause firms to delay or cancel investment plans. Consumer spending would also be negatively affected, reflecting concerns over future job losses and income prospects. It says there would be disruption at ports and airports if border infrastructure is unable to cope with the new arrangements "at least for an initial period". Given the deep supply chain linkages between Ireland and the UK, reflected in the reliance on the UK for the supply chain of components ("intermediate goods") used in production by Irish firms, and also given the scale of food and consumer goods imports from the UK, there would be implications for firms through disruption to their production processes and for households through the price and availability of consumer goods. It says exports would fall due to an "immediate and large reduction in demand from the UK", and the fall in sterling, with some sectors being further affected by any imposition of tariffs and non-tariff barriers. Those sectors, which are more reliant on trade with the UK or which are more vulnerable to the imposition of tariff and non-tariff barriers, such as agriculture, food and smaller scale manufacturing, are likely to be more adversely affected. Bank staff warn that while economic forecasting is prone to error, the unprecedented nature of Brexit makes it much harder than normal to make predictions: no country has ever disengaged from a deep political and economic relationship in the way the UK is leaving the EU (itself an unprecedented entity). Both the effects of Brexit and mechanisms by which those effects could be transmitted to the Irish economy are, it cautions, "extremely uncertain". Given its unprecedented nature, and the uncertainties around the scale and duration of the disruption arising from a sudden departure from existing arrangements, quantifying the impact of a disorderly Brexit through these channels is extremely uncertain. With these caveats, the Central Bank estimates that a disorderly Brexit could reduce the growth rate of the Irish economy by up to four percentage points in the first year. Given the current favourable central forecasts for the Irish economy, this means some growth in output would continue in 2019 and 2020, even in a disorderly Brexit. However, the pace of growth in both years would be materially lower. In its central scenario of an orderly "deal based" Brexit, the bank says the economy should grow by 4.4% of GDP (4% GNP) this year, slipping to 3.9% (4% GNP) in 2020. Exports would dip from the very high growth level of 7.3% in 2018 (driven by the pharmaceutical sector) to 4.3% this year, and then 4% in 2020. Inflation is forecast at 0.8% in 2019, driven by services inflation of 2.3% and negative goods inflation of -1.1%. The Central Bank expects compensation per employee to increase by 3.4% this year, on top of a rise of 2.8% last year. It expects unemployment to fall below 5% this year, with labour force growth of 1.5% and employment growth of 2.2% (down from 3% in 2018). Growth in consumer spending is forecast to fall from 3% in 2018 to 2.1% this year. The fact that the economy would continue to grow in 2019 and 2020 in a disorderly Brexit reflects the current strong, broadbased growth in the economy, the diversified nature of production in many sectors and the strength of domestic demand. The Bank says of its projections: "It is important to note these are not forecasts of future outcomes. Instead, they represent an illustration of the possible impact of a disorderly Brexit under a range of key assumptions." 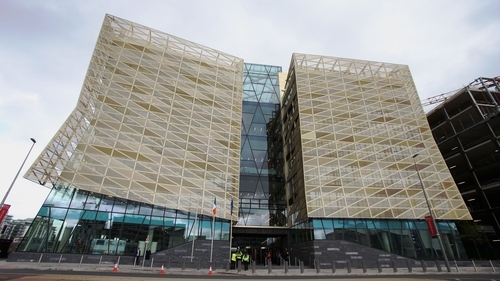 Mark Cassidy, the Central Bank’s director of Economics and Statistics, said: "Although Brexit continues to dominate headlines, we cannot ignore the other risks facing the economy, such as overheating and the international trade and taxation environment. "Our ability to withstand any future downturns in the economy will be greatly enhanced by building up larger surpluses and buffers in the public finances now, especially if a no-deal Brexit can be avoided."